The Niles Veterinary Clinic team of skilled veterinarians welcomes you to our practice. We are proudly serving the Niles area. At Niles Veterinary Clinic, it is our daily privilege to provide quality vet care to your cherished pet, with compassion and competence. We hope to ensure a positive impact on our patients, pet owners and the local community. 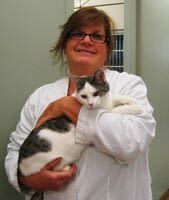 Born and raised in a suburb on the east side of Cleveland, Ohio, Dr. Greco obtained her veterinary degree from Ohio State University in 1986. She then moved to Maryland where she practiced at a multiple-doctor small animal hospital for 18 years. After moving back to Ohio in August of 2004, she worked as a relief veterinarian where she found Niles Veterinary Clinic to be her favorite assignment. 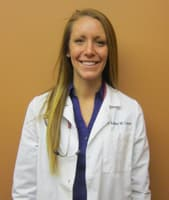 She accepted a permanent, part-time position as the associate veterinarian at Niles Veterinary Clinic in January 2006. She lives with her husband, son, 2 dogs, and 4 cats on a small farm in Amish country outside of Middlefield, Ohio. She enjoys keeping her two border collies busy and trained as stock dogs with their small flock of sheep. Her other interests include gardening, bird watching, furniture refinishing, photography, and traveling. 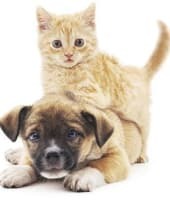 Dr. Pagano has a Bachelor of Science in Biology from Kent State University and earned her veterinary degree at the Ohio State University in 2007. Her veterinary interests include feline medicine, dentistry, pocket pet medicine, and dermatology. She is originally from Champion, Ohio and has lived in the area most of her life. Dr. Pagano enjoys spending time with her husband Doug, her children Gianna & Evan, 4 cats, her Great Dane, friends, and family. In her free time, she enjoys swimming, walking, activities with the kids, and skiing. 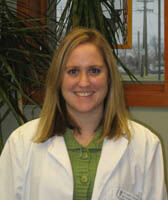 Dr. Ashley Staycheff obtained her veterinary degree from Ross University School of Veterinary Medicine. She has a special interest in preventative medicine and surgery. Dr. Staycheff, although new to the practice, is excited and eager to join the incredible staff and practice high-quality medicine for the clients of Niles Veterinary Clinic. You'll always find Dr. Staycheff with a smile on her face. She enjoys time with family, fishing, walking her dogs, and traveling as well as spending time with her boyfriend, Mark, and their three dogs, Stripes, Lexus and Bella. Dr. Slawienski is a native of Buffalo, New York. He received his Bachelor of Science degree in Animal Science from Cornell University and his Doctor of Veterinary Medicine degree from Iowa State University in 1992. He completed an internship in small animal medicine and surgery at West Los Angeles Animal Hospital and trained as a resident in veterinary surgeon at the prestigious Animal Medical Center in New York City. He became a Diplomate of the American College of Veterinary Surgeons in 1999. Dr. Mike practiced at Associated Veterinary Specialists in St. Louis before moving to Ohio with his family in 2004. He has provided soft tissue, neurologic and orthopedic specialty surgeries for patients of veterinary hospitals in Northeast Ohio and surrounding areas since that time. Dr. Mike is an avid homebrewer and as a BJCP certified judge has judged beer competitions nationally and abroad. Dr. Mike enjoys spending time with his three young wonderful children and his wife. Dr. Slawienski has a sweet one-eyed pug named Boty and a very mischievous cat named Shadow.